2018년 상반기에 Version 9.0 Release, 2018년 하반기에 Version 9.1이 Release 된바 있습니다. 이어서 이번에 V9.2가 Release 되었습니다. 그 주요한 내용은 다음과 같습니다. FloMASTER V9.2는 FloMASTER V7.9.4 이상 Version일 경우 Data Upgrade 가능합니다. FloMASTER V9.2 설치 File은 본사 Support Center 또는 폐사에 요청(support@flowsystem.co.kr)하시면 다운 받으실 수 있습니다. 운송, 발전 및 자동화는 대부분 전기 모터 및 발전기로 가능합니다. 압력은 컴팩트하고 효율적이며 신뢰할 수 있는 가변 작동 기계를 설계하는 것뿐만 아니라 모든 설계 측면에서 시스템 수준의 분석을 지원하는 것입니다. 이 웹 세미나에서는 Simcenter Motorsolve V6.3의 새로운 Release 가 이러한 요구를 해결하는 방법을 보여줍니다. 이 Release는 Simcenter Amesim으로 모터 모델을 내보낼 수 있도록 지원합니다. 또한, exportable map이 efficiency map에 추가되었으며, demagnetization analysis는 이제 온도 영향 외에도 armature currents를 고려합니다. 이번 자료는 Flowmaster Korea Conference 2019에서 발표된 내용으로 1D - 3D Co-Simulation 에서 발전 된(보다 빠르고 사용하기 편한) 기능인 OneSim 기능을 소개합니다. 그리고, Pump Header에서의 유량 불균형 현상을 OneSim 해석을 통해 System 측면의 고찰을 보다 정확하게 해석할 수 있음을 보여줍니다. 이번 자료는 Flowmaster Korea Conference 2019에서 발표된 내용으로 Co-Simulation과 Model Exchange의 Standard로 자리잡은 FMI/FMU에 대한 소개와 그 활용 사례를 소개합니다. ● Case Study - Aircraft Fuel System (FloMASTER - Amesim). Welcome to the Smart Design Series, a library of videos developed to help you become familiar with how Computational Fluid Dynamics (CFD) can be used by the design engineer. The series will show you how CAD models can be easily analyzed to give insight into the workings of their behavior with Simcenter FLOEFD, the award-winning CAD-embedded CFD solution. In this installment of the series, we will take a look at an automotive rear light. We will examine the model for temperature and relative humidity. We’ll also look at ray trajectories and take a closer look at condensation on the lens. 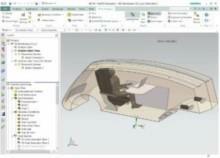 We should point out that while this video features Siemens NX, you can expect the same level of integration with Creo, CATIA V5 and Solid Edge. Let’s watch this 4-minute video now. In this video, we will take a look at an automotive rear light. We will examine the model for temperature and relative humidity. We’ll also look at ray trajectories and take a closer look at condensation on the lens. 오는 5월 9일부터 11일까지 3일간 한국자동차공학회에서 주최하는 춘계학술대회가 라마다프라자 제주에서 예정되어있습니다. 오는 5월 29일부터 31일까지 3일간 한국추진공학회에서 주최하는 춘계학술대회가 라마다프라자 제주에서 예정되어있습니다. 복잡한 실제 시스템을 해석하기 위하여 System들로 구성된 상위 System의 해석이 갈수록 중요해지고 있다. FMI는 현재 독립적인 System Model들을 통합해석 할수 있는 매우 강력한 도구이다. FMI를 활용한 통합해석 사례를 소개한다. Pipeline System의 Air Valve의 정의 및 적절한 설치 위치, 종류에 따른 각 구조를 알아본다. 배관 유동시스템에 있어 하나의 유체가 아닌 몇개의 유체가 합류 및 분류되어 서로 혼합될 수 있다. 이와 같이 서로 다른 유체의 혼합유동에 대하여 해석을 진행하고 각 부분의 유량, 압력은 물론, 각부분에서 각 유체의 농도 등을 확인할 수있다. 이는 정상상태 및 비정상상태 해석 모두 가능하여 시간에 따른 각 유체의 농도변화를 파악할 수있다. Is it possible to design an electric motor in less than 20 minutes? Watch this web seminar to find out how! Flowmaster Korea는 FloMASTER, FloEFD, FloTHERM등 1D, 3D CFD 프로그램을 사용 중이신 고객 여러분들을 모시고 [Flowmaster Korea Conference 2019]를 개최합니다. 여러 분야의 전문가로부터 FloMASTER, FloEFD, FloTHERM 및 Simulation에 대한 다양한 정보 교류 및 활용 사례 등을 직접 들을 수 있는 [Flowmaster Korea Conference 2019]에 관심있는 많은 분들의 참여 바랍니다. Flowmaster Korea Conference 2019가 다음과 같이 예정입니다. 1D CFD FloMASTER 및 3D CFD FloEFD, FloTHERM Simulation에 대한 사례 공유와 정보 교류의 시간을 갖고, 고객사 여러분들의 만남의 장이 될 수 있도록 최선을 다하겠습니다. 보다 자세한 사항은 상세보기를 통하여 확인하실 수 있습니다. Simcenter Flomaster V9.1 focuses on increasing user productivity and extending simulation applicability. A number of enhancements are introduced in the user interface and in the Launchpad to help to increase user productivity. In particular, warning and error messages are made more clear and powerful and a black-box component is introduced to protect sensitive data and intellectual property. New physical capabilities as well as strong connections with other simulation tools allow you to extend simulation applicability. On the physical side, Simcenter Flomaster V9.1 introduces new capabilities for thermal management of autonomous and electric vehicles and supercritical carbon dioxide cycle for power generation. On the connectivity side, it introduces an FMI co-simulation capability allowing Simcenter Flomaster models to be used in the wider environment of System-of-Systems simulations. 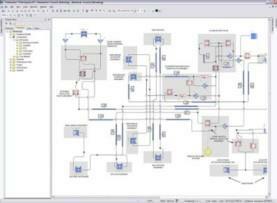 An interface to Simcenter Motorsolve for accurate characterization of electric motors is also introduced. Finally, the connectivity with 3D CFD is extended by introducing “OneSimulation”, a unique, fully implicit co-simulation between 1D and 3D CFD. FloMASTER의 Two Phase 솔버를 사용하여, LNG가 NG로 기화하는 시스템에서 열교환기 출구온도를 이용하여 열교환기에 필요한 Heat duty 를 계산하고자 한다. If left uncontrolled, particles can wreak havoc with expensive machinery components and ultimately the wear and tear will result in equipment breakdown. A variety of separation and filtration strategies exist for use by design engineers depending on the state of the materials being separated.Centrifugation, cyclones, fluidized beds, various types of filter, settling tanks, and evaporators, are all applications where CFD can play a vital role in design and reducing the number of physical prototypes needed. Watch this 7 minute video to learn how FloEFD can be used to help improve filtration and separation. While this video shows FloEFD inside Solid Edge, you can expect the same level of integration with Siemens NX, Creo and CATIA V5. Eliminating or reducing pressure loss is a vital necessity for many applications. After all, a pressure drop translates to a loss in energy which would have to be compensated by a higher energy demand for the pump or fan to overcome that loss. Therefore, it stands to reason that an optimized design resulting in the optimal pressure conditions, will increase energy efficiency while reducing operating costs. Watch this 3 minute video to understand how FloEFD can help you calculate pressure changes quickly, easily and effortlessly. While this video shows FloEFD inside Solid Edge, you can expect the same level of integration with Siemens NX, Creo and CATIA V5. Full Liquid System이 아닌 Bubble flow와 같이 부분적으로 Cavity 등 Gas가 포함된 유동의 경우, 소량 포함된 경우에도 Wave Speed가 큰 폭으로 변하며 Surge Pressure와 같은 Transient Pressure에 큰 변화를 가져온다. 전체적 2 Phase 유동해석이 아닌 부분적 Gas 함유를 고려한 해석은 과도현상 해석에 유용하다. 이에 대한 모델링 방법을 소개한다. 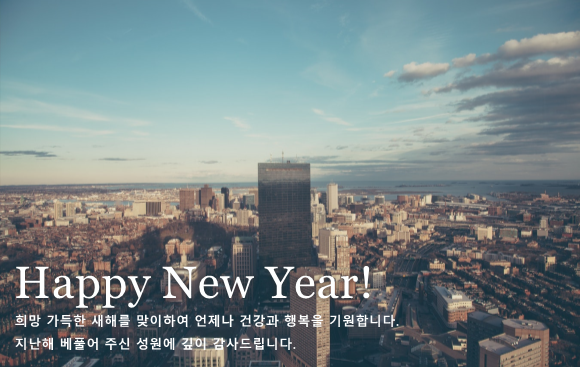 폐사에서는 고객분들이 Newsletter 등에 포함 된 Product Info, Tech Note, Tech Study, 동영상 등 각종 자료 및 포함되지 않은 자료들을 한데 모아서 보실 수 있도록 "FSupport" Site를 준비하였습니다. 이메일로 송부드리는 Newsletter로는 보안문제, Spam문제 등으로 어려움이 있어, Newsletter와 함께 "FSupport"를 운영하여 관련 자료를 제공드리고자 합니다. 이를 통하여 각종 기술자료 및 교육자료, 사례등을 지속적으로 공유할 예정입니다. FSupport는 간단한 계정 등록 이후 사용하실 수 있습니다. ◆ 상기 교육 이 외의 교육을 원하시는 분께서는 연락 주시기 바랍니다. ◆ 교육 기준인원 미달 및 폐사의 사정으로 교육 일정이 변경 될 수 있습니다. ⓒ2018 Flowmaster Korea,. All rights reserved. 특히 FMI, 1D-3D CFD OneSimulation, Script Component 부분의 두드러진 기능 향상은 매우 의미있고 유용하게 활용될 수 있으리라 기대하고 있습니다. Surge는 Water Hammer, 수충격, Fluid Transient 등 조금씩 의미는 다르지만 분야에 따라 여러 용어로 사용되기도 합니다. 이 교육은 각종 플랜트(발전, 해양, 화공, Utility) 및 설비 배관에서 많이 발생 할 수 있는 Surge 현상에 대한 고찰과 해석을 포함합니다. 실습을 포함하므로 FloMASTER 기본교육 수강을 필요로 합니다. Heat Transfer Training 및 COM & Automation Training 수강은 관련 교육으로 수강에 도움이 됩니다. 본 교육 과정은 실습을 포함하므로 FloMASTER 기본교육 수강을 필요로 합니다. Heat Transfer Training 수강은 관련 교육으로 수강에 도움이 됩니다. FloEFD에서 비정상상태(Transient) Animation을 구현하는 방법에는 크게 다음 2가지 방법이 있다. 이 두가지 방법을 통한 Animation 구현에 대하여 살펴본다. 사용자는 데이터 입력, 결과 출력, 그리고 자료 비교 검토 등을 위하여 특정 조건에 맞는 일련의 Component들에 대한 작업을 수행 할 때가 많다. 이런 경우 Layer기능은 일련의 Component들을 Group화 하여 손쉽게 Component들을 Collection하고 작업할 수 있는 유용한 방법이다. 배관 내의 진공 해석은 해석 용도에 따라 몇 가지 방법을 통해 수행할 수 있다. 여기서는 Gas Tank를 통한 진공 배관 해석에 대하여 알아 본다. CAD-embedded simulation tools have made a significant contribution to the democratization of analysis by frontloading CFD. By moving CFD simulation early into the design process, these tools now enable design engineers to fully understand the behavior of their proposed designs including complex physical phenomena and to develop the best possible design. One of the most recent developments is the implementation of free surface simulation. The Volume of Fluid (VoF) is a numerical technique for tracking and locating the free surface or fluid-fluid interface. Join us in this session where Mike Gruetzmacher introduces you to our implementation of the VoF. 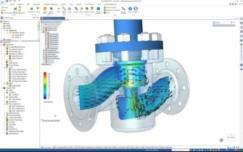 He’ll use a selection of validation and industrial application examples to illustrate the use of free surface simulation. We strongly recommend this presentation to CAD and design engineers who design products dealing with liquids. 항공기의 연료급유 및 대형 자동차의 연료 급유 등과 같은 시스템을 해석하는 경우, 연료 탱크에 급유에 따른 수위 상승과 함께 이에 따른 상부의 Air Ventilation 해석이 같이 고려되어야 한다. 여기서는 4-Arm Tank를 활용하여 연료 탱크 급유와 그에 따른 Air Centilation해석을 살펴본다. 폐사에서는 고객분들이 Newsletter 등에 포함된 Product Info, Tech Note, Tech Study, 동영상 등 각종 자료 및 포함되지 않은 자료들을 한데 모아서 보실 수 있도록 “FSupport” Site를 준비 하였습니다. 오는 10월 25일부터 10월 26일까지 2일간 창원대학교 종합교육관에서 한국 시스템 엔지니어링 학회가 주최하는 추계 학술대회가 개최됩니다. 오는 10월 31일부터 11월 2일까지 3일간 경주 HICO에서 항공우주시스템공학회가 주최하는 추계 학술 대회가 개최됩니다. 배관 시스템에서 Pump 운전은 크게 일정 운전, Pump Trip, Pump Start-up 등으로 구분된다. 일정 운전 및 Pump Trip은 일정 속도, 일정 Torque, 그리고 Pump Inertia 등을 활용하여 비교적 쉽게 정의할 수 있다. Pump 시동은 여러 방법이 있으나 주로 다음의 3가지 방법을 통해 대부분 모델링 할 수있다. 자연 대류와 복사를 포함한 FloEFD 예제 입니다. 이 튜토리얼에서는 단일 열원과 후면에 덮개가 있고 방열판을 추가로 사용하여 일부 수직 방향 방열판의 간단한 예제 모델을 사용하여 자연 대류 및 복사 시뮬레이션 프로젝트를 설정하는 원리를 설명합니다. FloEFD 프로젝트 설정과 다음 세 가지 기본 시뮬레이션 조건에 대한 계산 결과 비교를 다룹니다. ● 방열 부분이없는 자연 대류. ● 열 차폐 및 높은 방사율의 방사 표면이있는 자연 대류. ● 방열판을 갖춘 자연 대류 및 방열판을위한 방사율이 높은 방열 표면. FloTHERM을 사용하여 냉각해석을 수행할 때, 강제대류에 의한 냉각을 고려할 수 있는 Cooling Fan을 생성하는 Example을 살펴본다. Modern military aircraft platforms are using more and more power which results in an ever increasing power density (SWaP). This in turn, generates more heat that has to be dissipated from the instrument panel and cockpit of the aircraft. Complicating this further is that the use of structural composites, which are not efficient conductors of heat, and the mission requirements of small heat signatures. Therefore alternative means of extracting the heat from the avionics systems must be used. Liquid cooled systems have the advantage over air cooled systems as they have much higher heat transfer rate as well as the fact that the heat can be transported a significant distance from the source. Liquid cooled avionics have their own challenges. The architecture of the components (cold plates, etc.) used for extracting the heat from the electronics component must be optimized to perform consistently and reliably while maintaining the smallest footprint possible in the already crowded instrument panel. Additionally, these systems require piping, pumps, valves, heat exchangers and controls as well as a heatsink to send the heat to. In most military applications this is the fuel. Therefore, design engineers must consider, not only, the design of the avionics package with its cooling requirements, but also what to do with the heat once it has been transferred to the coolant. This requires the ability to optimize both the component design and the cooling design concurrently. A proposed method for this concurrent optimization is through the use of characterized 3D CFD simulations from a CAD embedded CFD software in a system simulation tool using model based design approach. This allows initial evaluations of the cooling system long before the physical components would be available for bench testing. ISO 26262(자동차 기능 안전에 대한 국제 표준)는 자동차용 전기 전자 시스템을 설계 및 개발할 때 고려해야 하는 전 세계 공통의 안전 표준으로 급속히 대두되고 있습니다. ISO 26262는 우리가 스스로 안전 목표를 정의하고 그로부터 요구사항을 도출한 뒤, 그러한 요구사항을 엄격한 설계 및 개발 방법론을 통해 달성할 수 있다는 사실을 입증할 수 있다는 것을 전제로 한 표준입니다. ADAS 및 자율 주행과 같이 극히 복잡한 애플리케이션을 지원하는 시스템에는 고도화된 신경망과 기타의 머신 러닝 기법이 필요하므로 안전 목표와 그 달성 사이의 직접적인 연결 고리가 끊어지게 됩니다. 이 백서에서는 Mentor의 최고 안전 책임자(Chief Safety Officer, CSO) Robert Bates가 ISO 26262의 목표와 이러한 종류의 구현 사이에 존재하는 연결 고리 및 점점 더 복잡해지는 세상 속에서 안전을 관리하는 방법에 대해 살펴보고자 합니다. 오는 8월 19일부터 8월 22일일까지 4일간 라마다프라자 제주에서 대한기계학회가 주최하는 ETME가 개최됩니다. 오는 8월 22일부터 8월 24일일까지 3일간 여수 엑스포 컨벤션센터에서 한국항공우주학회의 주관으로 제 10회 한국유체공학학술대회가 개최됩니다. Full Liquid System이 아닌 Bubble flow와 같이 부분적으로 Cavity 등 Gas가 포함된 유동의 경우, 소량 포함된 경우에도 Wave Speed가 큰 폭으로 변하며 Surge Pressure와 같은 Transient Pressure에 큰 변화를 가져온다. 전체적 2 Phase 유동해석이 아닌 부분적 Gas 함유를 고려한 해석은 과도현상 해석에 유용하다. 이에 대한 모델링 방법을 소개한다. CFD 해석을 통해 얻어진 Mass Flow Rate vs Pressure Drop 의 관계식을 FloMASTER를 통해 모델링 할 수 있는 방법을 알아본다. When designing or upgrading a building, there are several areas that require significant engineering to ensure they can operate in as green a manner as possible. One of these areas is the chilled water system for air conditioning. In these systems, whether they are primary, primary-secondary, or primary-secondary-tertiary, the pumping energy can account for up to 10% of the total power required to run the system. This usage of energy means newer system designs are required to meet or exceed pumping power limitations set out by government and industry to improve the efficiency of air conditioning systems. These requirements (along with improvements in the efficiency of low flow, high head variable speed pumps), have led to an investigation of other pumping strategies. As part of the work carried out for the building design, an investigation into a Primary-Coil Secondary pumping system was carried out using 1D Computational Fluid Dynamic software tool, FloMASTER.